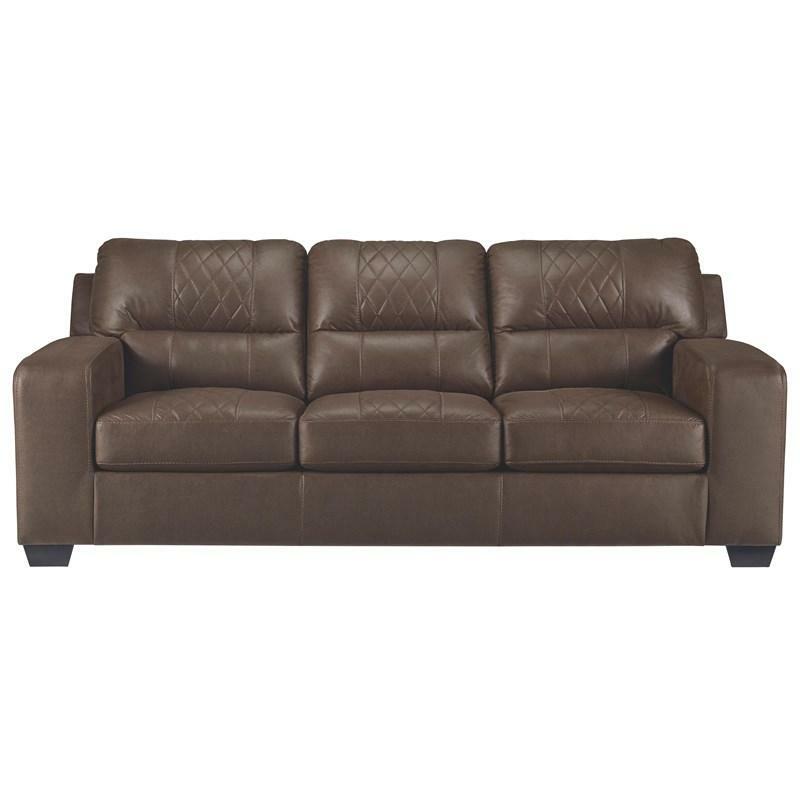 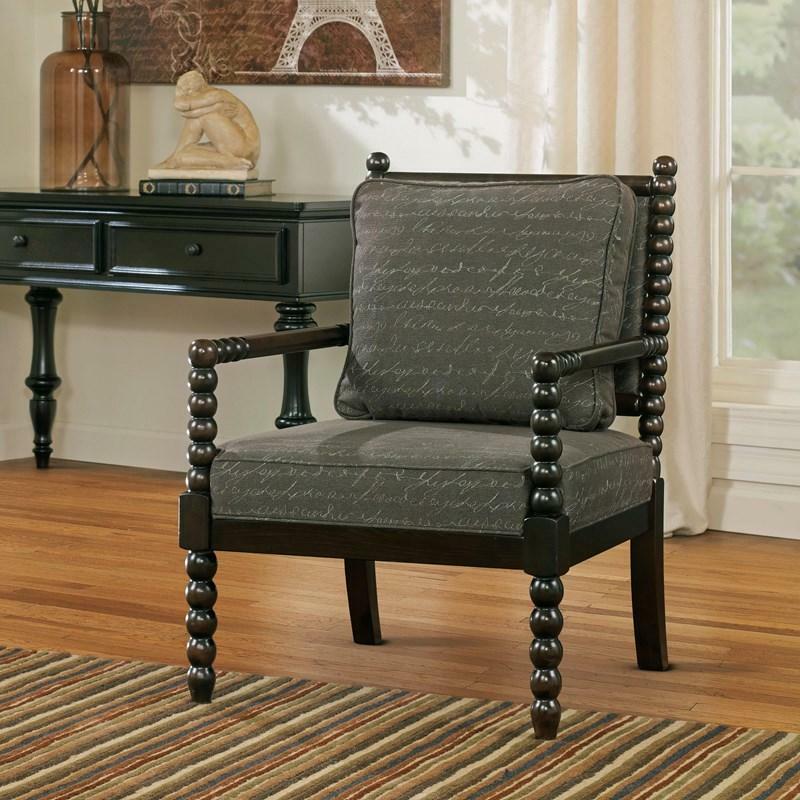 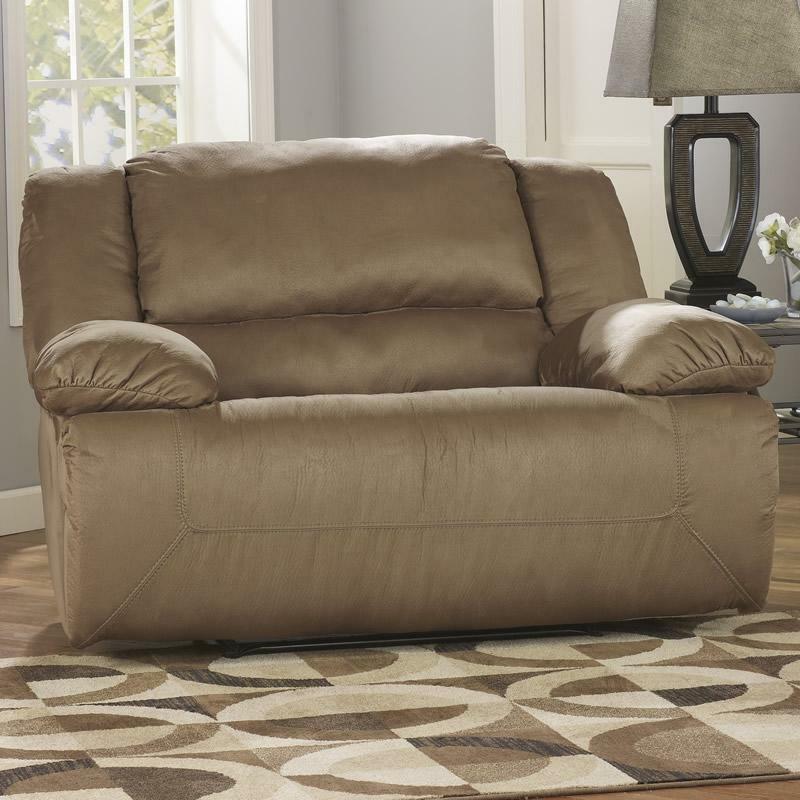 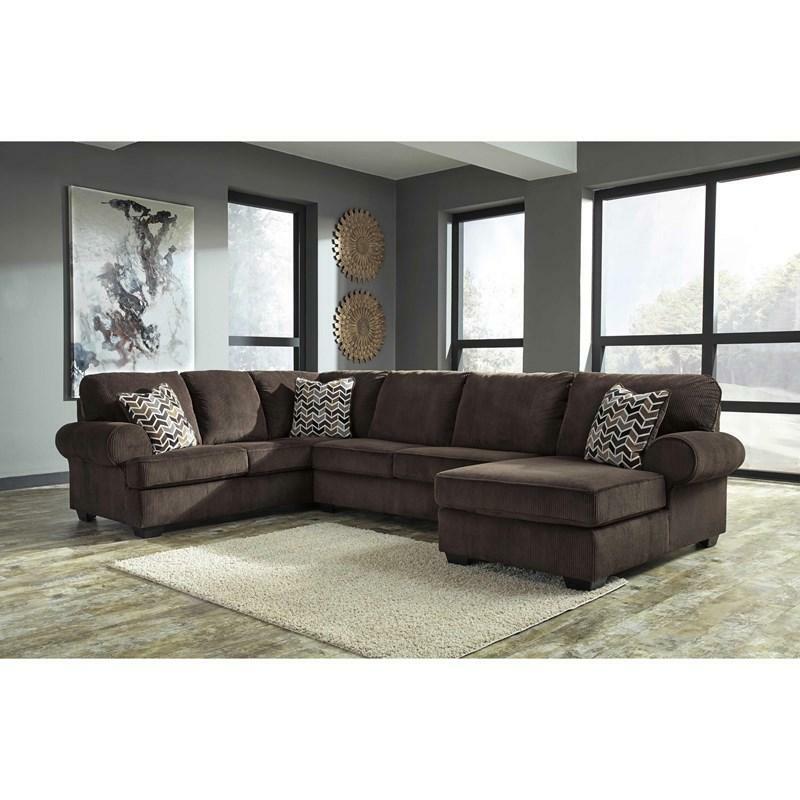 The plush comfort and stylish contemporary design of the Ashley "Hogan-Mocha" Zero Wall Wide Seat Recliner is the perfect addition to the living room that you have been dreaming about. 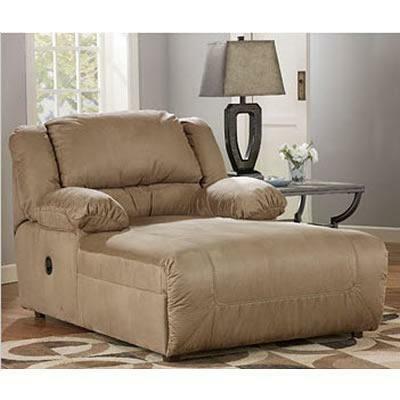 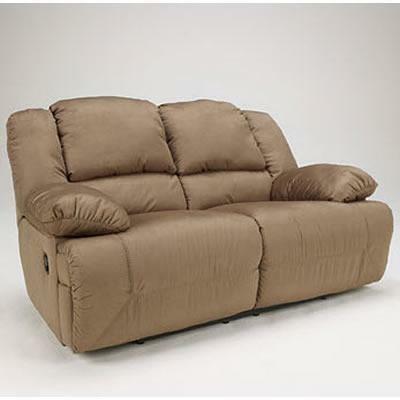 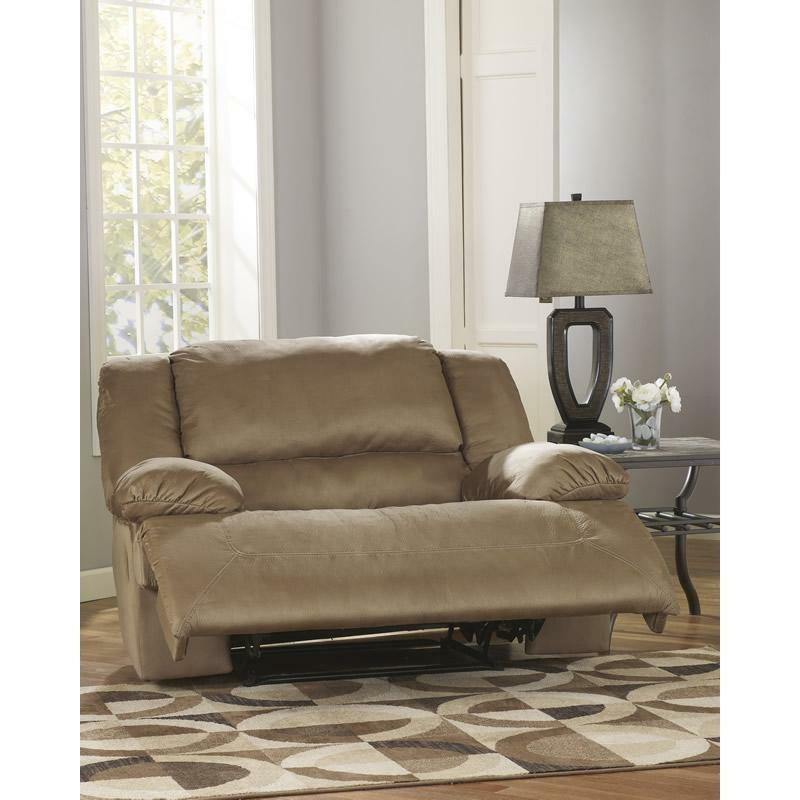 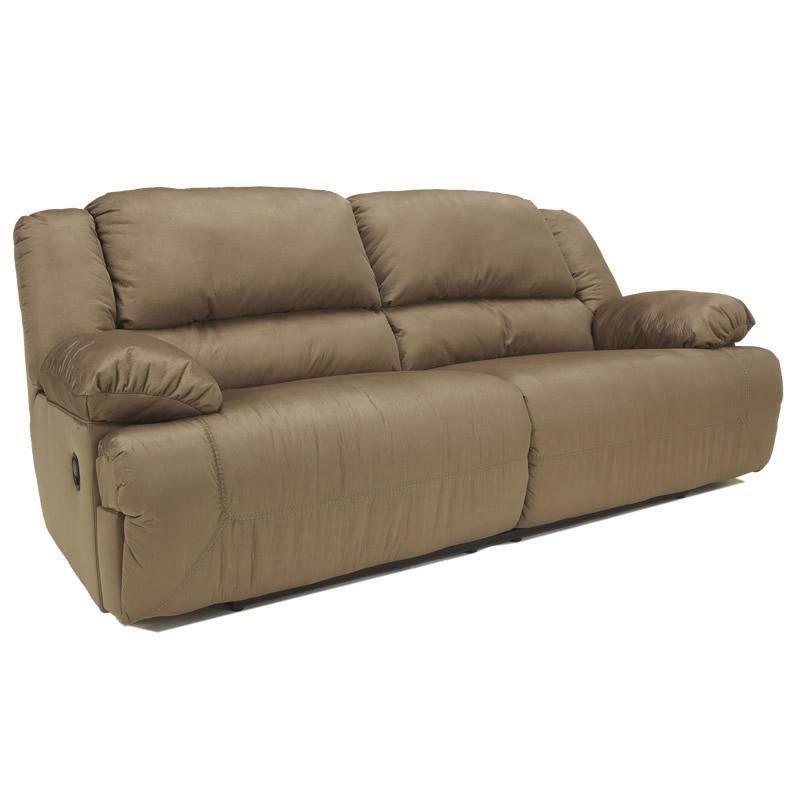 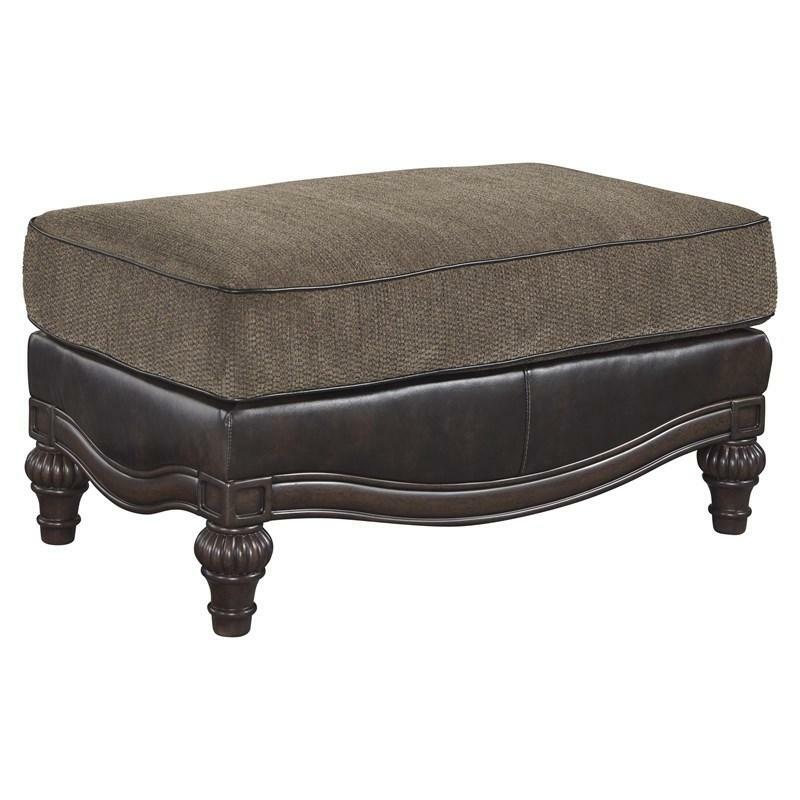 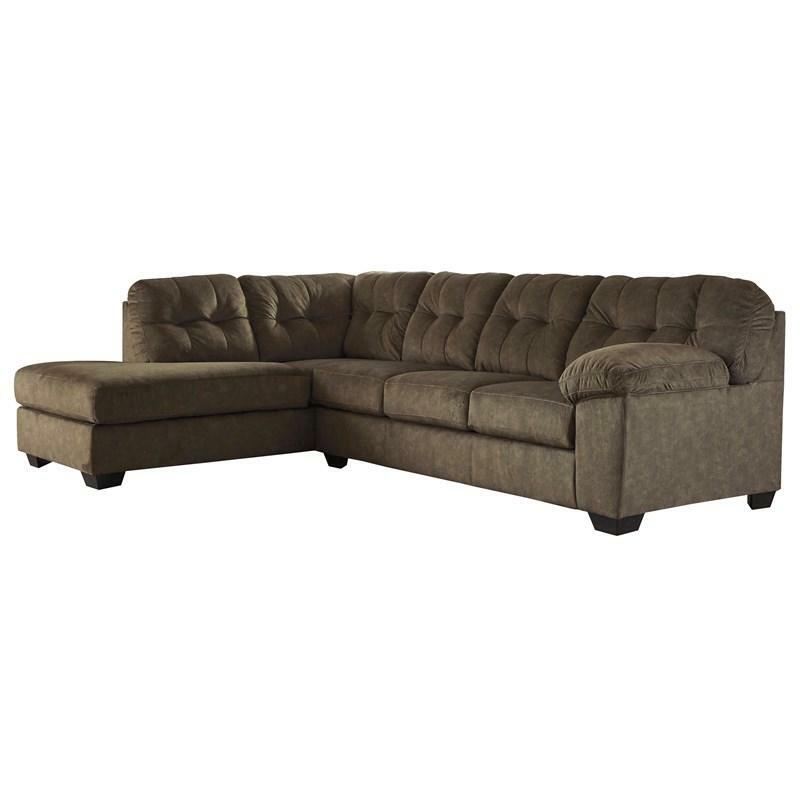 The soft feel of the warm earth-toned upholstery covers the plush bustle back design and thick pillow top arms perfectly cradling you within the supportive comfort of this recliner. 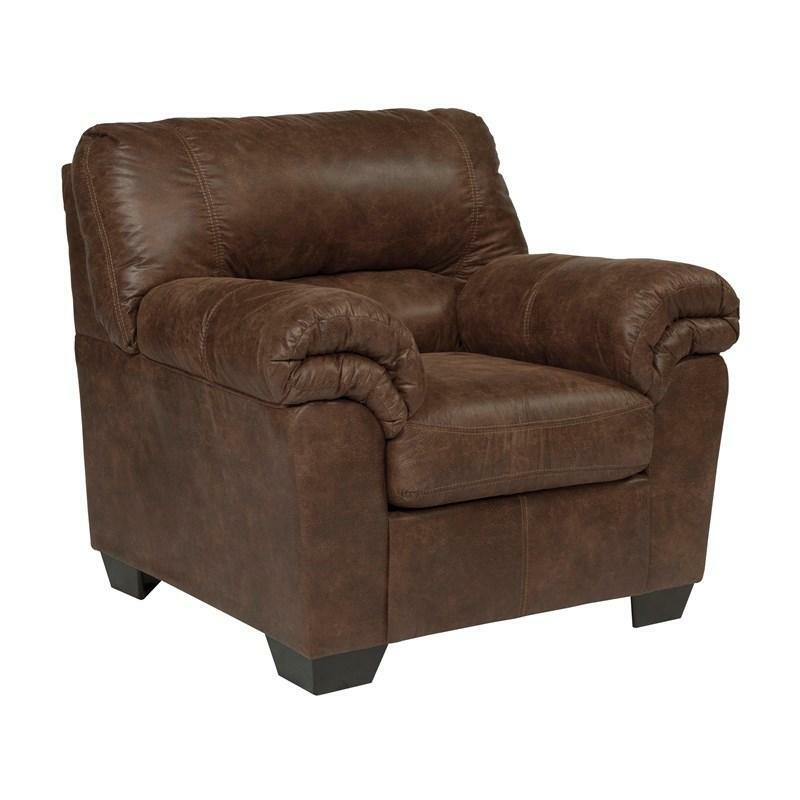 With the inviting beauty of the rounded contemporary design, the Ashley "Hogan-Mocha" Zero Wall Wide Seat Recliner fits comfortably within any home's decor. 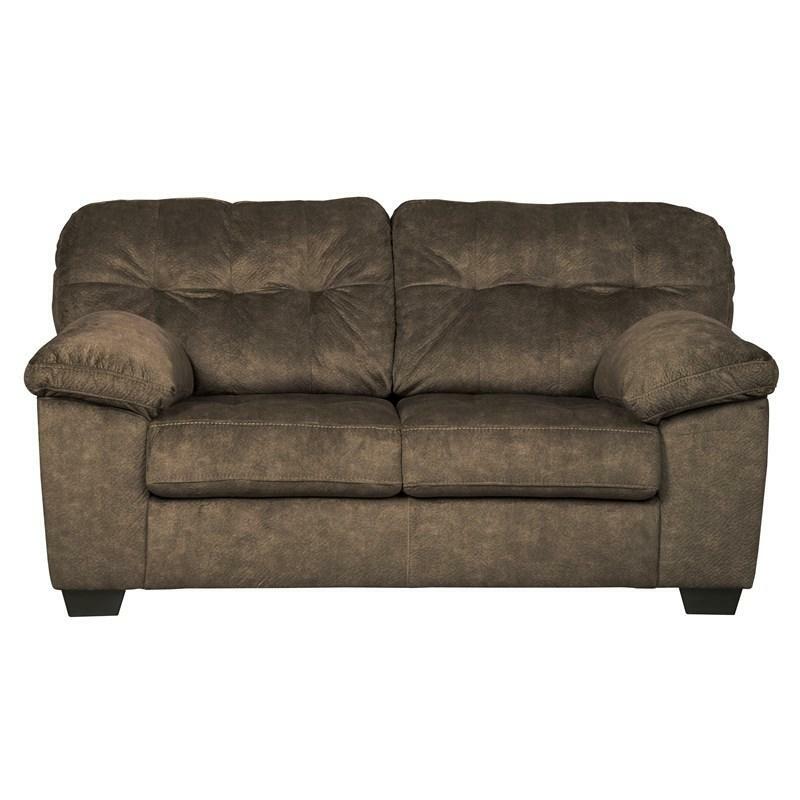 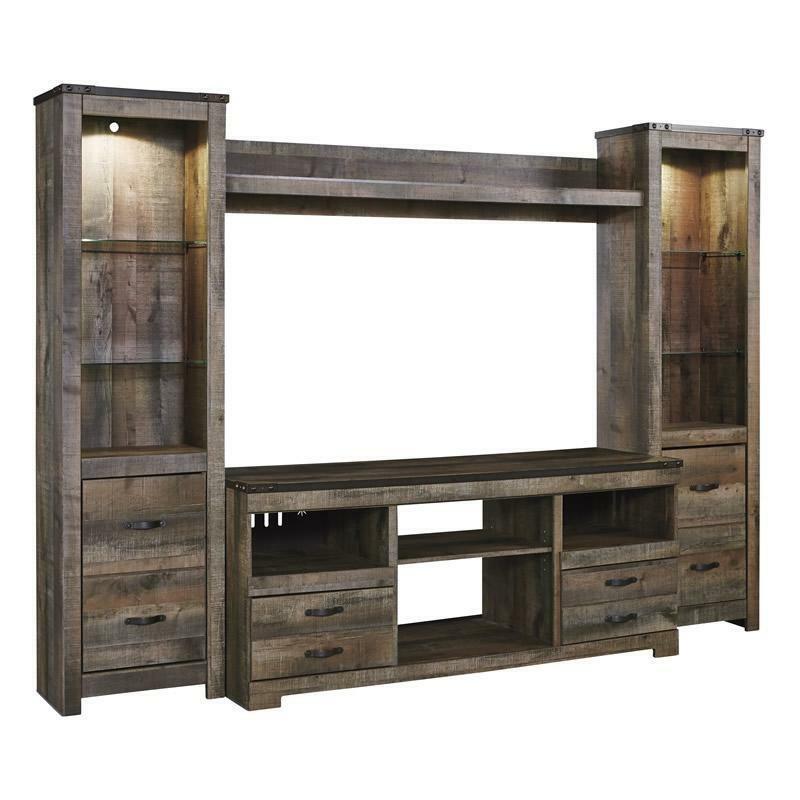 Additional Information Distance between arms 28"; Distance between recliner and wall 3"
Seat Seat depth 24"; Seat height 21"